In2Connect work with Calmont Wire and Cable, Inc. of the USA. Founded in 1958, Calmont are an ISO 9001 Registered manufacturer providing unique technical solutions for critical applications ~ from simple hook-up wire to complex, multiway, wires and cables. Every product manufactured is made to customer, UL or MIL specifications. Medical ~ reusable and disposable cables including optics, lumens, drain tubes for ~ catheters, diagnostic imaging, endoscopy, laparoscopy, medical robotics, etc. By definition, disposable cables are intended for one time or limited use. Minimizing cost, while performing its intended function is of primary importance. PVC and PE are the insulations most commonly used. Conductors are generally bare or tinned copper. Shields when needed are spiral or aluminized mylar. These cables may be gamma radiation sterilized. Reusable medical cables are built to endure constant flexing and extended cycles of sterilization. Insulations may be Teflon®, TPE or silicone rubber with TPR or silicone jackets. Military ~ spacecraft to satellites, aircraft, missiles, tactical comms + shipboard and subsea. Calmont manufactures wire and cable specifically designed for the harsh environments associated with military and defense applications. Our quality assurance program is certified according to ISO 9001:2000. Calmont’s unique ability to construct custom cables utilizing off the shelf Mil Spec sub-components is invaluable when up against large minimum runs from QPL vendors. Calmont can manufacture to many of the older, more difficult to procure MIL specifications. Calmont is familiar with low smoke/halogen-free requirements of military cables and is very adept at manufacturing cables consistent with these requirements. They have years of experience manufacturing cables with materials that are free of reactive halogen-related elements of fluorine, chlorine, bromine, iodine, and astatine. If you need a cable that will be safer, healthier, and more environmentally friendly, consider a halogen-free option. High Flex Industrial and Robotics ~ robotic machine control, sensors, test and measurement, low noise EMI resistant, HV test probes. Calmont manufactures cables for robotics applications by extruding specially compounded materials over ultra-fine, high strength alloy, stranded wire. Whether your application requires a unique composite cable consisting of twisted pairs, triads, and coaxial cables, or you simply require ultra flexible hookup wire, Calmont can help. Silicone rubber adds superior chemical resistance, and polyurethane jacketing protects against abrasion, oil, notching, microbes and hydrolysis. Smooth surfaces prevent adhesion to adjacent cables. Calmont’s robotic cables may be used with or without cable track and may be flat or round constructions. Ultra-flexible hook-up wires. High Temperature ~ silver or nickel plated conductors, etc. with Tefzel, Teflon PFA and FEP, Silicon rubber and other specialist polymers. Calmont manufactures a variety of cables used to monitor temperature, pressure, motion, position and other characteristics. A wide variety of thermistor, bridge and transducer, and LVDR applications use our cables. Insulation material other than standard insulations are often required in sensor applications because of their unique operating environment. Unusual materials such as Valox®, Ultem®, Siltem®, Ethylene Vinyl Acetate (EVA), Cellulose Acetate, Delrin®, and Lexan® have been utilized to meet demanding customer requirements. These include applications such as vacuum chamber environments, zero halogen requirements, low water absorption requirements and requirements for extreme rigidity. 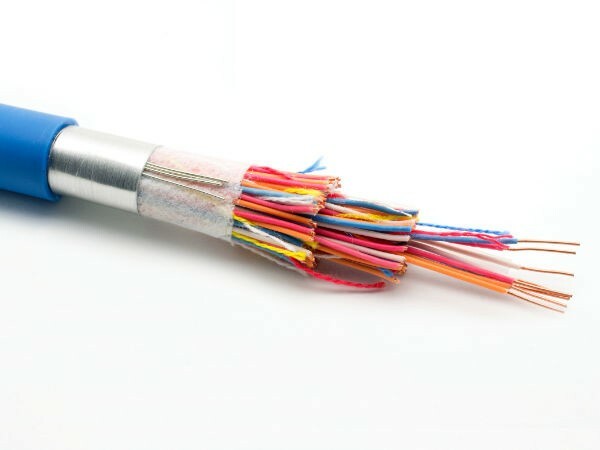 FluoroFlex – Calmont’s precision extrusion techniques combine the superior properties of FEP with the durability of a highly stranded conductor to produce an unequalled product. It is small and lightweight, yet will withstand the severe and repeated flexing that usually destroys other fluorocarbon insulated wires. FluoroFlex is highly versatile and suitable for broad usage in aerospace, computer, and medical electronics. Being chemically inert, FluoroFlex can be used for medical implantation. It has the smallest finished diameter of any of the Calmont high flex products. This is of great importance in aerospace applications. FluoroFlex’s excellent dielectric properties also make it ideal for data and audio applications. SiliFlex – SiliFlex is distinguished by its extreme limpness and flexibility. It is the most limber of all the high flex products offered by Calmont. Silicone rubber insulation compounds are inherently soft and pliable and resist the plastic flow that characterizes many insulation systems. Silicone compounds can be tailored to meet a variety of demands such as extreme high and low temperature requirements, flame resistance, flexibility, radiation resistance, strength and purity. SiliFlex is used extensively for robotic, aerospace and medical applications. When converting your Ideas into Reality is a Race against Time . . .
Calmont’s Rapid Prototyping Service offers your concept, whether simple or complex ~ turned into a prototype and delivered within 2 to 3 weeks! Prototypes are not just limited to a traditional wire or cable. If the design of your product lends itself to the same standard manufacturing processes, such as extrusion, cabling or braiding, the opportunities are limitless. Typical length produced under this program is 200 to 1000 feet ~ ask us for a quotation!